Communial fridge and microwave are at your disposal. 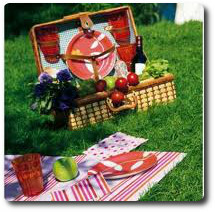 You can, therefore, have a snack in your room, in the garden, or prepare your picnic for the day. In Courseulles Sur Mer (2km), you can find delicatessens, seafood, supermarket and mini market (7h-21h during the week and 9h-13h on Sundays).